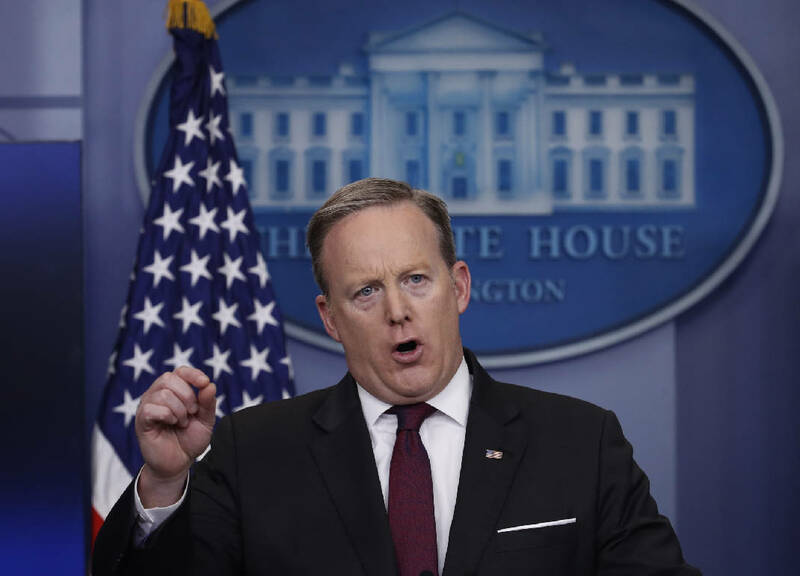 WASHINGTON (AP) - The Justice Department will step up enforcement of federal laws against recreational marijuana, White House spokesman Sean Spicer said Thursday, offering the Trump administration's strongest indication to date of a looming crackdown on the drug, even as a solid majority of Americans believe it should be legal. "I do believe you'll see greater enforcement of it," Spicer said in response to a question during a news conference. He offered no details about what such enforcement would entail. President Donald Trump does not oppose medical marijuana, he added, but "that's very differ than recreational use, which is something the Department of Justice will be further looking into." A renewed focus on recreational marijuana in states that have legalized pot would present a departure from the Trump administration's statements in favor of states' rights. A day earlier, the administration announced that the issue of transgender student bathroom access was best left to states and local communities to decide. Enforcement would also shift away from marijuana policy under the Obama administration, which said in a 2013 memo that it would not intervene in state's marijuana laws as long as they keep the drug from crossing state lines and away from children and drug cartels. But the memo carried no force of law and could be rewritten by Attorney General Jeff Sessions, who has consistently said he opposes legal marijuana but has not indicated what he might do. Eight states and Washington, D.C., have legalized marijuana for recreational use. The Justice Department has several options available should it decide to enforce the law, including filing lawsuits on the grounds that state laws regulating pot are unconstitutional because they are pre-empted by federal law. Pot advocates said they hoped Spicer's prediction would not come to pass. "This administration is claiming that it values states' rights, so we hope they will respect the rights of states to determine their own marijuana policies," said Mason Tvert, communications director for the Marijuana Policy Project. "It is hard to imagine why anyone would want marijuana to be produced and sold by cartels and criminals rather than tightly regulated, taxpaying businesses." And presidents since Bill Clinton have said the federal government unequivocally rejects a state's ability to modify federal drug law. However, three presidents over the last 20 years have each concluded that the limited resources of the U.S. Department of Justice are best spent pursuing large drug cartels, not individual users of marijuana. Nevada state Senate Majority Leader Aaron Ford said in a statement Thursday that meddling in recreational pot laws would be federal overreach and harm state coffers. "Not only did voters overwhelmingly vote to approve the legalization of recreational marijuana, the Governor's proposed education budget depends on tax revenue from recreational marijuana sales. Any action by the Trump administration would be an insult to Nevada voters and would pick the pockets of Nevada's students," Ford said. Spicer's comments come as a solid majority of Americans support legalization. A Quinnipiac poll released Thursday said 59 percent of Americans think marijuana should be legal and 71 percent would oppose a federal crackdown. Associated Press writer Kristen Wyatt in Denver continued to this report.